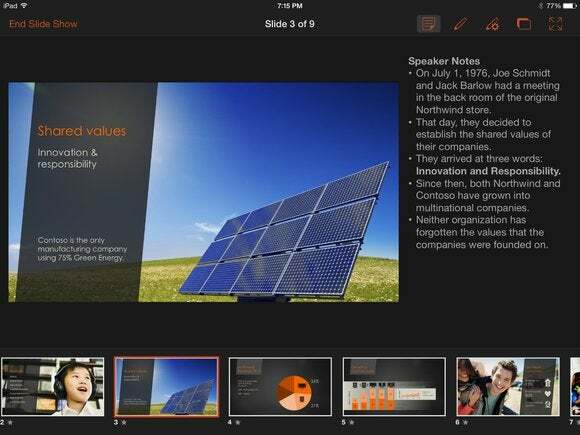 Microsoft updated its three Office for iPad apps—Word, PowerPoint, and Excel—with new features including PDF exporting, presentation views, and even a new flick gesture. Although both PowerPoint and Excel received their own unique updates, several features were added to all three apps, including the frequently requested ability to export documents as PDF files. Users can also manually crop photos and images in all three apps using a new crop tool that allows you to choose from a list of popular preset sizes, or create your own. (A reset button is also included.) Finally, Office for iPad also has the ability to import external fonts. Cropping an embedded photo is even easier with a number of preset dimesnions. As any data-entry specialist has realized, an external keyboard can be essential to the task. 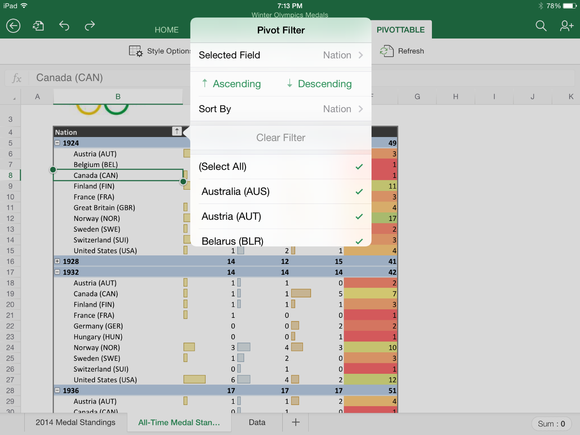 The update adds that feature to the Excel app. 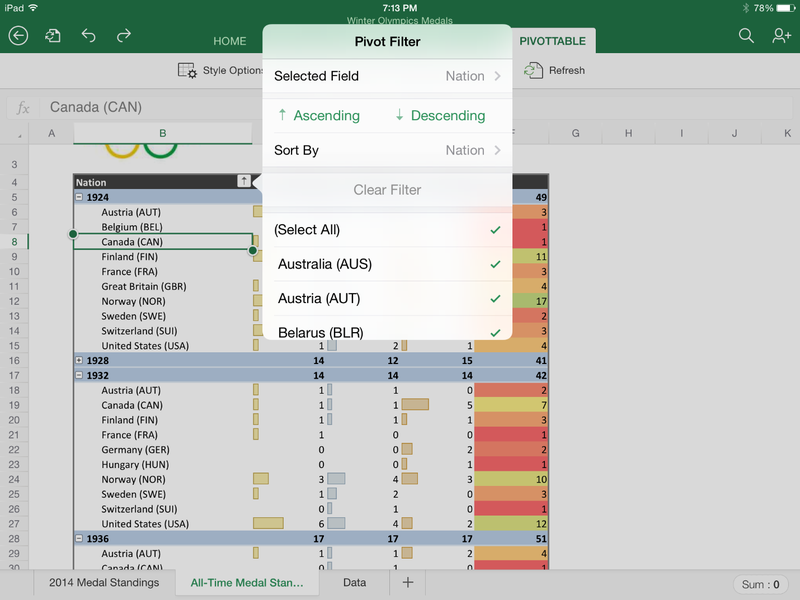 Improvements to Pivot Tablets have also been aded to Excel for iPad. The Word app didn't receive any unique updates, Microsoft said. Microsoft has said previously that it's busy putting its services on as many platforms as possible. 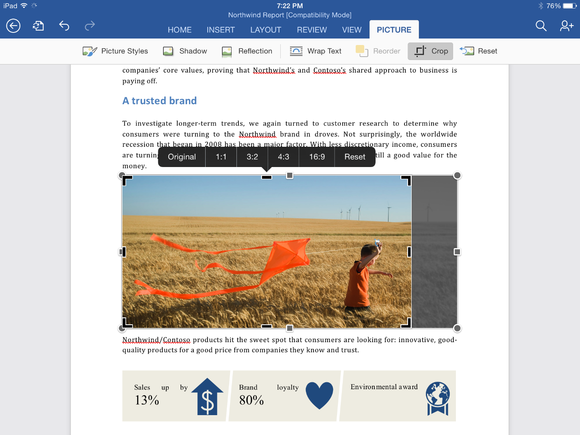 The updates to Office for iPad help that cause.